Spring is upon us and the new 2019 Greenheart Alumni Council is beginning to blossom. Before introducing these new changemakers to our Greenheart community, we want to celebrate the amazing successes of our 2018 council. 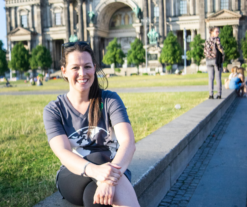 Join us as we revisit our six rock stars’ favorite moments, Purpose Projects, and find out what they say are their biggest takeaways from their Alumni Global Council tenure! 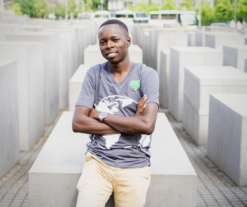 While meeting in Berlin at the annual Alumni Council Conference, our inaugural council members decided that “lack of educational resources” was the global issue they would seek to address through their Purpose Projects. Can you believe these six young people fundriased nearly $24,000 USD to build out three libraries, one computer resource center, one classroom resource center, and one environmental career training day? Keep reading to learn more insights from these impressive young minds! What was the goal of your Purpose Project? The goal of my purpose project was to support education in my community by creating a library for the community youth. The books that we bought for them and the other materials that other sponsors contributed is a great support of the youth, because now they have a free space to gather, read, share ideas and plan new projects. What advice would you give future Council members? Be active; get involved in each activity and opportunity that Greenheart is giving you and simply enjoy the year! What was your favorite part about being on the Council? My favorite part about being on the Alumni Council was the sense of community I found with my other council members through Greenheart. We all came from so many different backgrounds and from different countries, and we still found that our communities had so much in common. We are determined to bring many positive changes to our community. Communicate your thoughts clearly and confidently! This will help foster new ideas and it will encourage your other fellow council members to do the same! Be fearless in fighting for what’s right! We need more people like you!!! Purpose Project accomplishments: Provided sustainable career training and a volunteer day to 40 female high school students in Cincinatti. 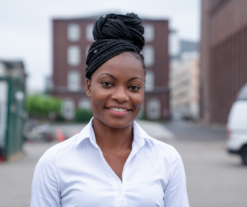 “I saw a need in my community for students to understand different career opportunities, specifically related to sustainable building, as it is something Cincinnati is currently known for and we need to keep the city on that trajectory,” Christen explains. 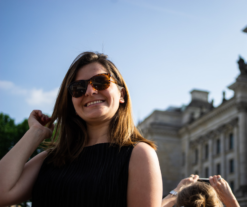 Being inspired by people (around) my age from all over the world and realizing that I’m not fighting the good fight alone – there are a lot of us working hard to make the world a better place. When we were in Berlin together, the power of the group was palpable. When we came home, it was incredible to see that power spread in such far-reaching places. Take full advantage of your time in the Council – get to know and lean on the other members, dive into parts of your community that you don’t know yet, spark conversations you wouldn’t otherwise have a reason to, and put work into your project that you can be proud of. It will look different for each of you, but if you are proud of it, you will know that it was a success and that you utilized your time in the Council as best you could. Have fun! Accept those who you consider ‘different’, Don’t be afraid to think different; but most of all know you PURPOSE walk in it and LIVE by it. What do you feel is your most valuable takeaway from your Alumni Council experience? My most valuable takeaway is learning the art of networking. I will use it to expand my knowledge, increase my influence in areas where I am much stronger, as well as use it to build my career in philanthropy and diplomacy. To collaborate and conduct global projects in order to raise awareness and create opportunities for those who do not have access to them. My 4 years at Greenheart inspired and motivated me to do a lot for my community, country, and world at large. I feel am more connected to resources, people, and great ideas for development. 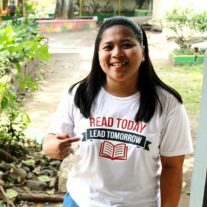 Purpose Project accomplishments: Jemima put her Purpose project funds to good use by building a school library in the small, rural village of Tiaong, Quezon in the Philippines. This library will be the first of its kind in the region and will support 1,760 elementary students. Jemima adds, “On a grander scale, our team envisions a library for every public school in Tiaong, Quezon.” You can continue to support Jemima’s community library here. We are above and beyond proud of this inaugural council and all the work they completed to carry out these Purpose Projects. 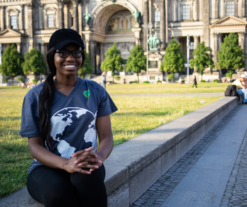 Keti, Christen, Afia, Sailas, Jemima, and Gian– thank you from the bottom of our (green)hearts for embodying our mission of connecting people and planet. 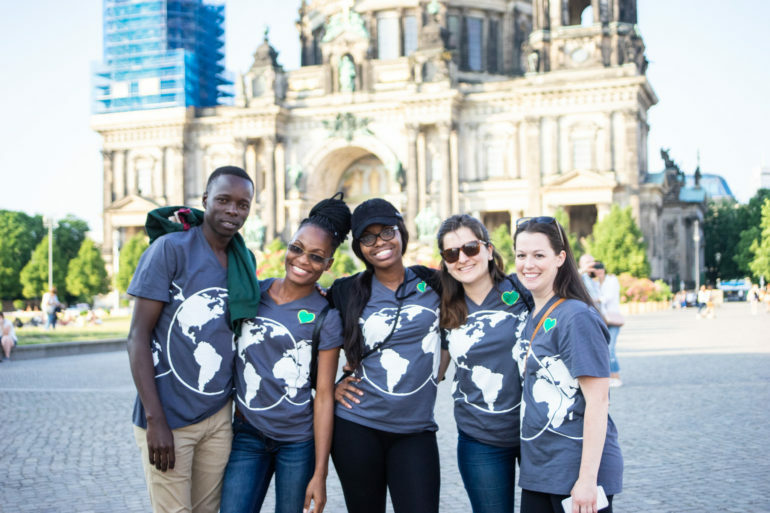 If you’d like to support the projects of our Alumni Council and help more youth become the next generation of global leaders, become a financial partner of Greenheart and make your contribution today.